A few years ago I interviewed with Netflix. I had two technical phone screens. One with the engineering manager and another with a senior engineer on their team. Those went smoothly so I was asked to fly out to Los Gatos, CA. I was supposed to talk first with the senior engineer but they placed someone else last minute. In walks a guy in a fedora with full tattoo sleeves. He glances at my resume and laughs saying he hasn’t looked at it at all and really knows nothing about me. This guy asked me detailed questions about certain programming languages I was very clear with them on the phone that I’ve played around with those, but I hadn’t used them to any serious degree. Fedora man continued inquiring for a while about exactly those programming languages until we shook hands and he left. The engineering manager came back in and basically escorted me out. He said I was good but that I wasn’t what they were looking for. I’ve had some retarded interview experiences but that one took the cake. A long time ago, I was interviewing for a programmer’s job and one of the interviewers asked me an unusually specific question. I don’t remember what it was, but it seemed strange to me that he would ask something so esoteric. As I listed potential ways to solve the problem, he was like, “tried that. That didn’t work…” Soon it became clear that this wasn’t a canned interview question, but rather, he was asking me to help him with a problem he was actually stuck on. We went over to his workstation and figured out the problem together and got it to work. I got the job. We programmers always think that we are exposed to weird scenarios. 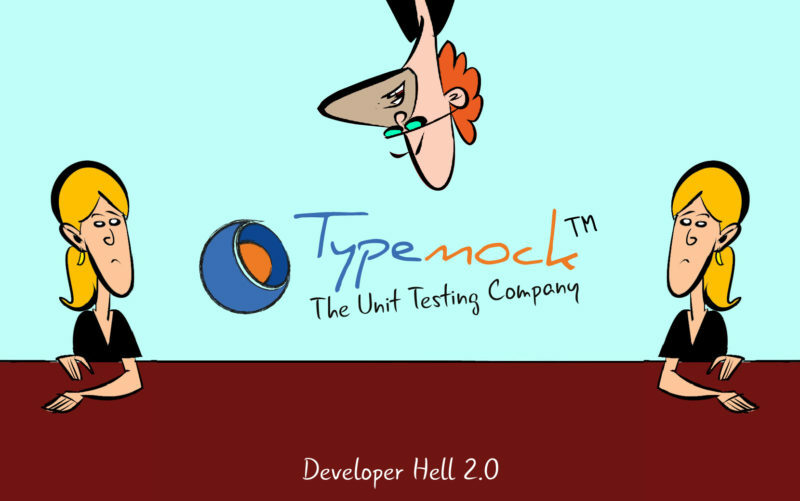 After chatting with our head of HR here at Typemock, I learned that memorable interviews can happen to everyone. What struck me most were some of the excuses some use for not showing up for an interview. The ‘weak’ excuses she recollected were somehow similar to the following list I found. #12 I normally use wash-n-go but today I had to use shampoo and conditioner separately so it took longer to shower this morning so I’m late. Which ones do you like the best? And what job interview anecdotes can you tell? Leave a comment!